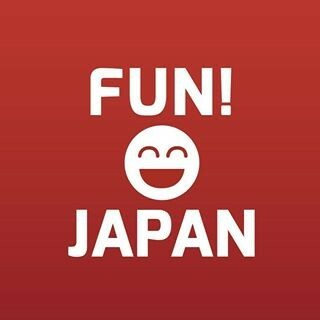 As a prize of the VISIT JAPAN Campaign sponsored by FUN! JAPAN, winners (1 person from each target country) are invited for a trip to Japan. In recent years, many Japanese products makers tend to give away free gifts to the participants too! During our Tohoku trip in February, we’ve received many free gifts♪ Let’s hear from the participants about these gifts! Here’re the reviews from the participants regarding the colourful healing and beauty products from Dream Co., Ltd.
A Participant from Indonesia: Perhaps I’m not familiar with it, I felt slightly strange. However, I’m quite happy that I could get to try it out first as this is not sold in Indonesia. A Participant from Thailand: I tried it and it made my body ache become better. I think it is effective if I use it every day. The product is a cute cat design. I feel like want to buy it at first sight. A Participant from Malaysia: I’ve never seen such a product before. It is so cute and convenient. Now I use it after work. A Participant from Taiwan: I would like to recommend this facial product to those who have an expensive taste of beauty and who like new things. In our trip, we received a lot of useful amenities from Daiichi Sankyo Healthcare Co,, Ltd. Here’re the reviews from the participants. A Participant from Indonesia: The toothpaste tasted salty. I think I am not used to it. The face mask, on the other hand, was really moisturizing. I like the immediate effect. A Participant from Thailand: I love the toothpaste and the face mask. They smelled so nice. A Participant from Malaysia: I use quite frequently the mist-type lotion. I like how my face feels after using it. The absorption into the skin is fast. A Participant from Taiwan: About the skin care sample set, the cleansing milk was thick. I used it together with enzyme-type cleanser, and it felt quite good. This was my first time using a powder form cleanser. I had the impression that it was difficult to use, but it was surprisingly easy to use! And the luxurious royal jelly too!? Here’re the reviews from the participants after trying the royal jelly from Japan Royal Jelly for 1 month. A Participant from Taiwan: I easily get breakout due to my health condition every month. This time, I didn't have acne on my chin. My skin condition has improved. A Participant from Hong Kong: As it is quite humid in the spring and I don’t exercise frequently, I feel tired easily. No matter how much I sleep, I never feel enough. However, after starting taking in the royal jelly, my condition has improved. I don't feel tired so much now. A Participant from Vietnam: It might be just mentally, but I think my condition get better. I don't get tired easily and my sleep quality has improved. My skin condition is better too and acne has reduced. Thanks to all the participants for taking part in the survey. It would be best if this feedback will lead to the improvement of the products!